Sign up to a ProPlenish Subscription and enjoy free delivery each month to your doorstep. 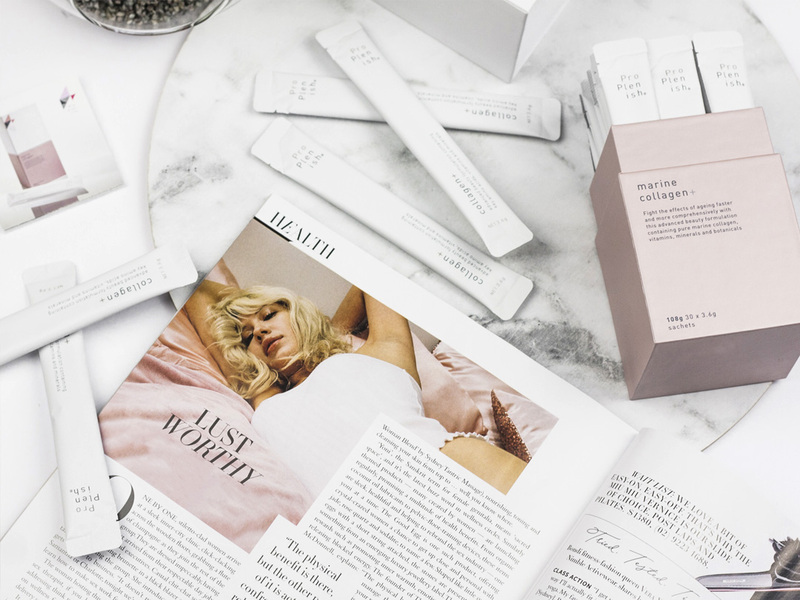 No longer do you need to take an array of supplements, get all that you need in one convenient sachet a day with ProPlenish Marine Collagen + an advanced beauty formulation, containing our 100% pure marine collagen along with 9 other vitamins, minerals and botanicals. Earn up to 120 VIP Reward Points Points. A subscription to ProPlenish Marine Collagen + is the best way to ensure that you stick to the routine of looking after your health and beauty each month. Consciously formulated for your beauty, health and wellbeing, ProPlenish Marine Collagen is 100% natural and contains no artificial colours, sweeteners, flavours or preservatives; no gluten, dairy or soy; and no fat. For optimum results include 1-3 sachets in your daily routine. Mix into water, smoothies, yoghurt or juices. For complete inner and outer beauty use in conjunction with ProPlenish Swiss Snow Algae Anti-Ageing facemask.